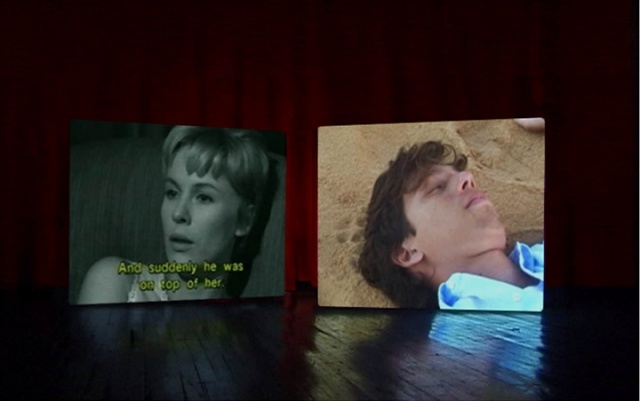 Using the scene from the film "Persona" (Bergman,1966) in which the nurse ( Bibi Andersson) remembers and confesses to the self imposed mute actress (Liv Ullman) a past episode that occurred one day in the beach with a teenager while the nurse's fiancé was away, a double projection shows original scenes of a story involving a teenager on a tropical beach and his encounter with a man. 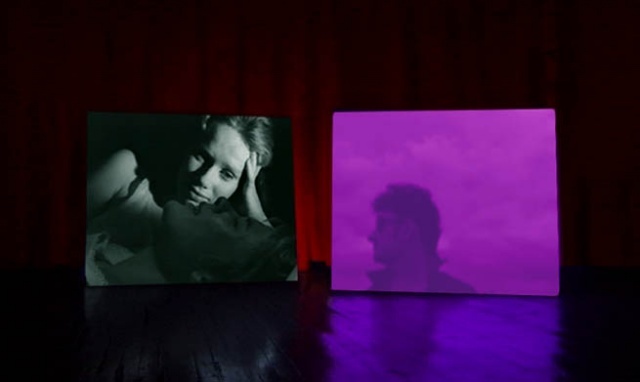 The two video projections create an ambiguous connection based on possible references to the images on both screens, while exploring the relation between the written word (the original subtitles) and the image. The difficulty in “reading” these three elements( 2 screens and the text) deconstructs or erases the habitual communication agenda of cinematic narrative and challeges the perception of the viewers.